Their novel experiment, which took place at ORNL’s Center for Nanophase Materials Sciences, used monochromated electron energy-loss spectroscopy, or EELS, in a scanning transmission electron microscope, or STEM. The technique the scientists used is sensitive enough to distinguish between molecules that differ by a single neutron on a single atom. EELS was used to capture the minute vibrations in the molecular structure of an amino acid. Co-authors of the study titled, “Identification of Site-Specific Isotopic Labels by Vibrational Spectroscopy in the Electron Microscope,” included Jordan A. Hachtel, Jingsong Huang, Ilja Popovs, Santa Jansone-Popova, Jong K. Keum, Jacek Jakowski and Juan Carlos Idrobo all of ORNL, and Tracy C. Lovejoy, Niklas Dellby and Ondrej L. Krivanek of Nion Co., the designers and manufacturers of the electron microscope and spectrometer used in the experiments. 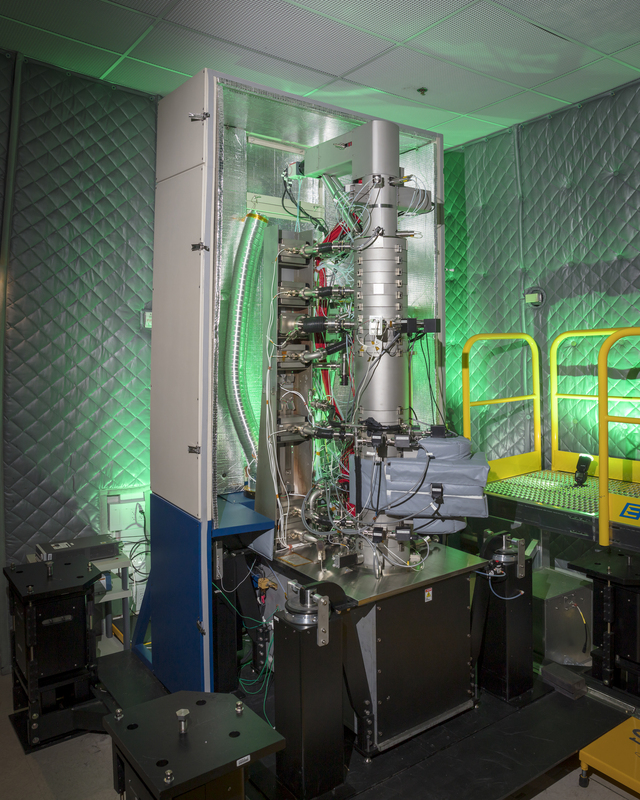 The research was supported by DOE’s Office of Science and used a monochromated, aberration-corrected scanning transmission electron microscope, or MAC-STEM, and other resources at ORNL’s Center for Nanophase Materials Sciences, a DOE User Facility.